How's it goin'........,don't forget your shovel! 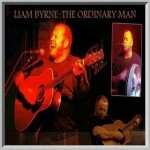 Inspired by the legend that is Christy Moore, Liam Byrne has spent the last eight years paying tribute to his idol by singing and playing his music to audiences through out the world. This superb tribute covers material spanning the many decades of Christy Moores career offering a comprehensive mixture of tracks from his enormous back catalogue of songs. Liam Byrne has captured the intimacy on stage that Christy nowadays enjoys with only himself on vocal, guitar and bodhran engaging the audience in an entertaining 2 hour acoustic set showcasing his many talents as an accomplished musician. If you would like to book "Christy Moore Tribute-Ordinary Man" for your venue, corporate event, festival, private party or Christmas show call us now on 086 8883666. For International enquiries contact us on 00 353 86 8883666.